Combining the benefits of ductless and ducted fume hoods, Air Science® Laminar Flow Hoods use HEPA or ULPA filtration to purify air and protect your samples and work zone from particulates. 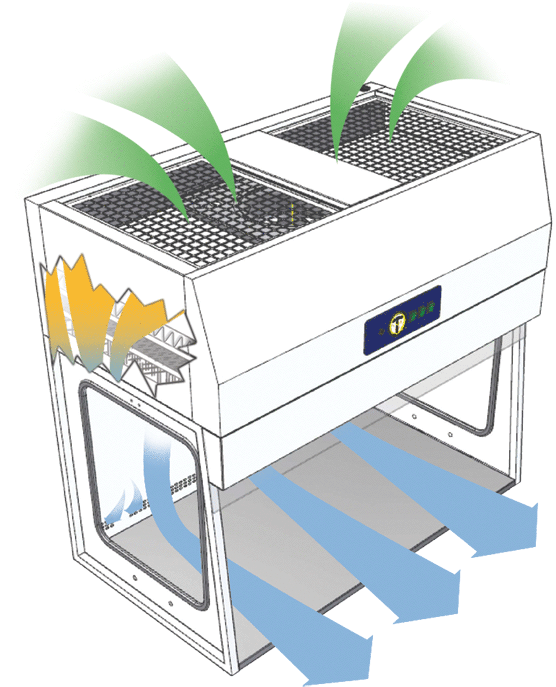 Air Science Laminar Flow Hoods offer distinct units that each come with a variety of options for a multitude of applications. The series includes laminar flow cabinets that are best suited for non-hazardous samples and offer a variety of sizes and options to accommodate your sterility needs. Learn more or download product literature. • Available in 3 model sizes with various options.